Poor Butters! We almost forgot his adoptiversary! 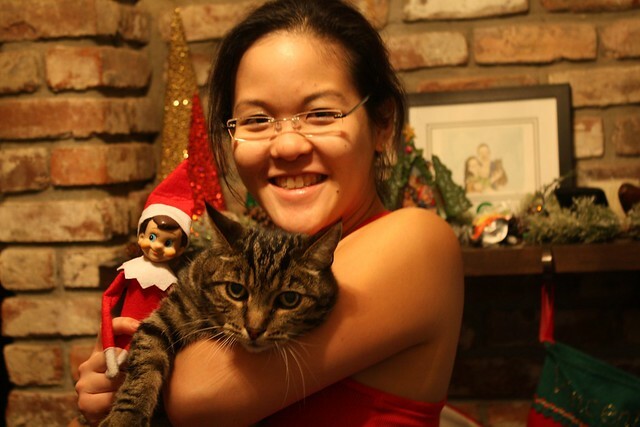 I was joking about getting a new cat for Christmas, and then Jeff suddenly realized that today was the day we adopted him 6 years ago. Besides the occasional puking (mostly i think from hairballs) Butters has been in good health. He does have rotting teeth that we certainly should take care of… one of those things we just keep putting off. Maybe ill take him in while i am on Maternity leave. He puts up a lot with Vincent — pulling tails, head butting and general roughness. He just sits there and takes it. A lot of the times i wonder why he doesn’t get up and move, or meow, or take a paw swipe to Vincent. 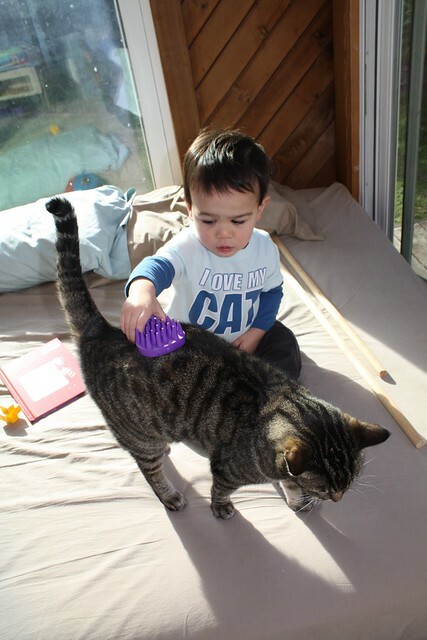 Vinny loves to help comb Kitty!